What a long, strange trip it’s been. 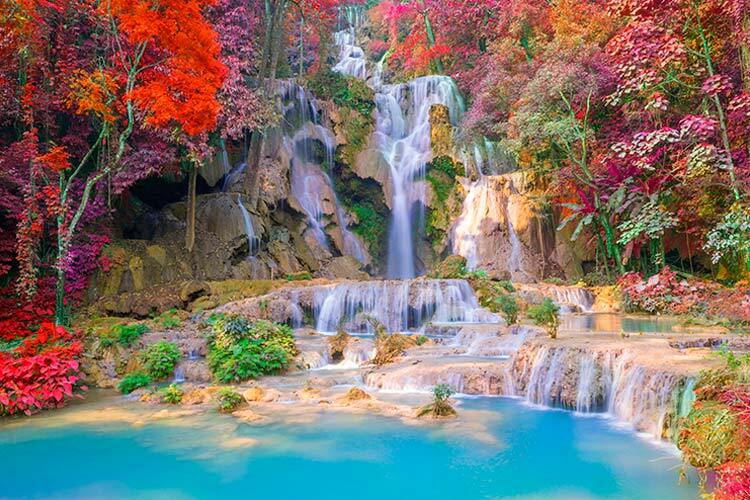 Framed by examples from my six month trip backpacking Southeast Asia, this ecotourism series has talked about the countless niches of eco-travel, the best destinations in Asia for ecotourism, and some of the ways you can travel in a green manner. This post is the last addition to the series (for now, at least), and I’d like to take the opportunity to share some of the lessons I’ve learned about ecotourism and travel during my time abroad. One of the things which surprised me about Southeast Asia was how prevalent ecotourism. 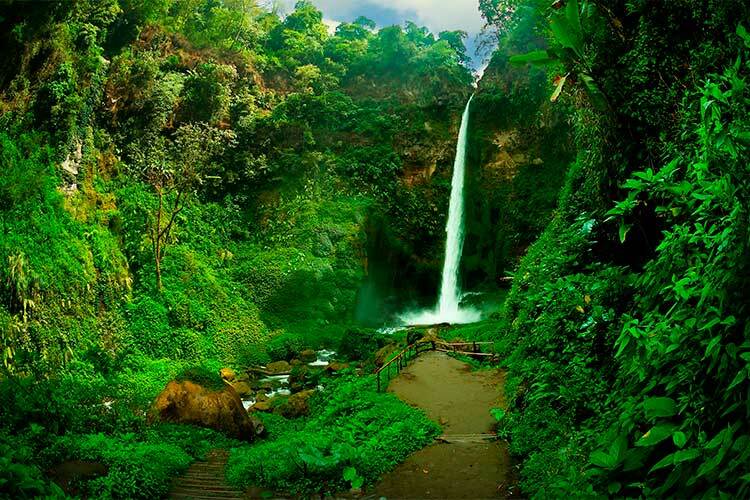 Even in a region that’s typically considered one of the poorest areas of the world, there was an active effort by many private citizens, businesses, and even governmental organizations to protect the region’s natural areas. By leveraging these areas into ecotourist sites, it’s possible to both protect these areas and make some money off tourists. Achieving both goals makes it feasible for developing countries to offer ecotourist options. 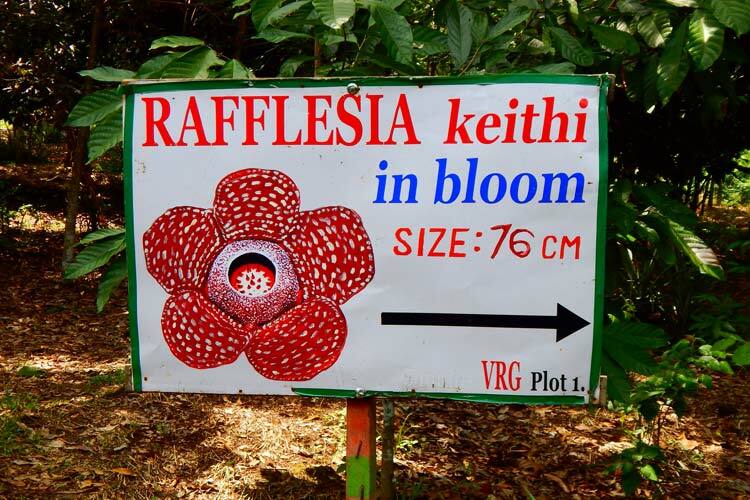 Perhaps the coolest example I saw of the ubiquity of ecotourism was Vivian’s Rafflesia Garden in Ranau, Malaysia. 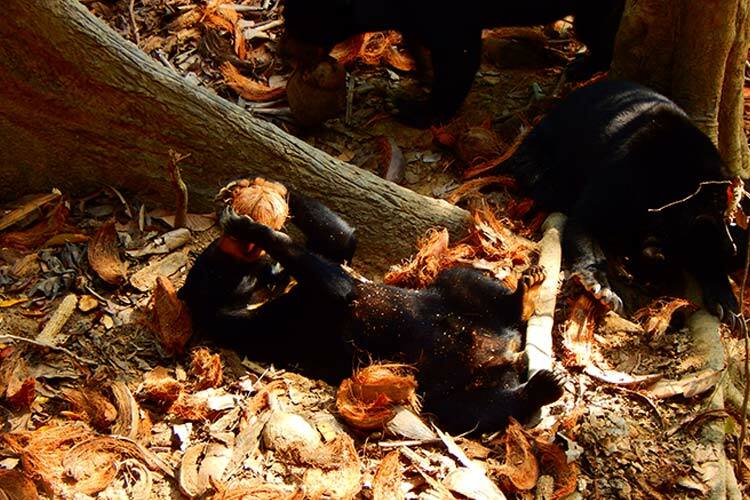 You can in depth about my experiences there in the “Indigenous Ecotourism” article that was released before, but the gist of the experience is that the community charges visitors to see the famous rafflesia flower. The money goes directly towards improving the lives of the family and their community, as well as towards the propagation of new rafflesia flowers. These gardens are located in tiny, one-road towns found way in the remote mountains of Malaysian Borneo, but they still try to appeal to ecotouristic ideals. It’s a fascinating example of how an ecoconcious, yet profitable, way of doing business is possible nearly anywhere in the world. 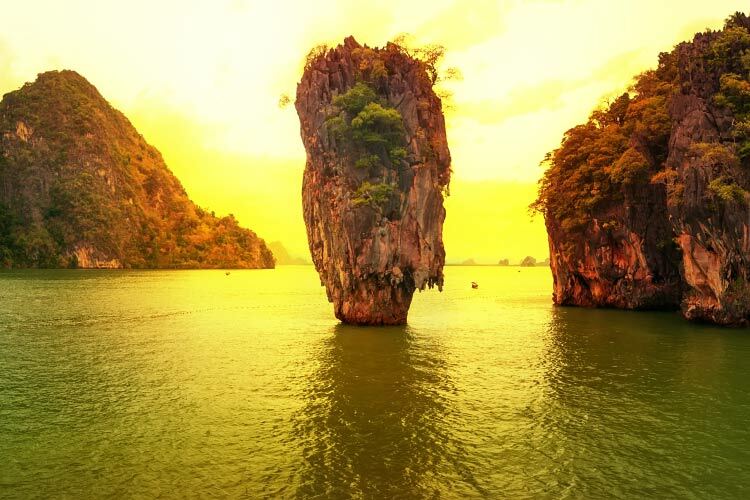 Ecotourism is a quickly growing niche in the travel industry. As it grows, it attracts more and more sly businessmen who masquerade their practices as ecotourism to attract consumers, but in reality aren’t actually running an ethical operation. This type of scam is quite common in Southeast Asia, I’m afraid to say, and it really emphasized how important research is to responsible ecotourism. The most poignant example of how research is important to ethical ecotourism is the ubiquitous elephant rides in Thailand and Cambodia. In response to international pressure, these countries have significantly cut back on the number of elephants employed in the logging and construction industries, which has forces many mahouts (elephant owners/trainers) to repurpose their elephants as tourist attractions. In order to attract customers, these elephant camps try to promote themselves as ecofriendly and ethical in the way they treat the elephants. In many cases, however, this simply isn’t true. For example, elephants that have to wear the large seat harnesses all day are extremely prone to developing debilitating back problems. Fortunately, people are beginning to catch on to this scam and seek out the elephant camps that are actually ethically operated. Hopefully, this trend continues, leading to better opportunities for Thai and Cambodian elephants and their keepers. By the way, if you’re looking for an ethical elephant camp to visit in Thailand, the Elephant Nature Park outside of Chiang Mai is considered one of the region’s best. While I was familiar with the importance of education in making ethical environmental decisions prior to traveling in Southeast Asia, my time spent in the region really brought this fact to light. Many of the people in the region make poor decisions regarding the environment, and these decisions are often made because they were never taught another way of living. For example, people in Southeast Asia burn their trash every evening around dusk. While part of the decision to burn trash is because there aren’t often efficient government run waste services available, the decision is also made because the people don’t know to consider the harmful effects of releasing so many pollutants into the air. It’s a sad (and smelly) problem with no clear solution, especially since there isn’t necessarily a better option for waste disposal. Still, by educating people on why you shouldn’t burn trash, and especially why some things like batteries, heavy metals, and thick plastics should absolutely never be burned, we can begin to combat to this difficult problem. One of the biggest mistakes I saw ecotourists and regular travelers alike make was assume that life in Southeast Asia presents the same options as their home countries. For example, I often saw people trying to use refillable plastic water bottles. This is a fantastic option when you’re in a developed country with safe, clean drinking water, but in less fortunate countries, it’s not really possible. Sure, there’s the occasional water refill station, but for the most part, it’s easier for people to purchase single-use plastic water bottles. They’re affordable and guaranteed to be safe to drink. Using disposable plastic bottles over a refillable canister is definitely not an environmentally sound decision, but that still doesn’t mean that travelers should look down on the locals for choosing to make that decision. Numerous other factors besides environmental ethics went into that choice, and it’s not fair for an outsider to come in and look down on people for trying to get by. Unfortunately, I saw this kind of behavior a lot, especially from Europeans, Australians, and Americans who expected the people of Southeast Asia to conform to Western standards of living. If you kept up with the recent global climate change summit in Paris, you heard about this issue a lot. All countries have an ethical mandate to curb emissions and reduce their impact on the environment, but there’s no denying that developing countries have a difficult role play in this effort than developed countries. A mindful ecotourist should remember that life in other countries isn’t like life at home, especially when there’s a huge difference in income level. Yes, you want to educate people on how to better care for to Earth, but do so in a way that’s respectful and helpful. Those are just a handful of the lessons I learned in Southeast Asia, but they should provide enough food for thought for some time. In the meantime, I’d like to thank everyone for following the series along, and encourage you to travel through this magnificent region yourself if possible. Don’t be afraid to leave a comment on the blog or message me directly if you have questions about Southeast Asia, ecotourism, backpacking, or anything else. Happy travels!